It's all over but the complaints. What would Apple do without a host of pundits coming out in the days after its announcements to let the company know what it did wrong? The Macalope suspects the company would like to one day find out, but today is not that day. So, not doing something it hasn’t done in eight years is a “big mistake.” Because the company’s struggled so much over those eight years. The WWDC keynote is over, and while developers will continue to learn about the latest techniques and share knowledge, it was all about the software (as expected). The big dumb thing everyone expected. Tim Cook and this team did not announce any new hardware to the faithful. They’re called the faithful because it’s a religion, dontcha know. No iPads. No MacBooks. No Macs. No Mac Minis. No Hamjammers, Fingfonglers or Danglers. No Dingdonglers, Bonglers or Hoongwanglers. And definitely not a new iPhone. Not even an update to the iPhone SE. Yes. Apple is embarrassed about the phone it planned, developed and will soon send out to manufacture, so it’s holding the phone for later. Out of embarrassment. That is certainly it. You have nailed the situation perfectly and brought honor to your dojo. I take on board that Apple has not launched an iPhone at WWDC since the iPhone 4, but ‘thinking different’ is part of Apple’s history. They did not “think different” in the exact way I wanted them to so this is a failure and spells doom for the company. Note to Spence: you are not the Lathe of Heaven. PHONES ARE OBJECTS AND CANNOT MAKE PROMISES. It wasn’t even Apple that suggested the iPhone X would ignite a “super-cycle”. Pundits and analysts did that. …and sales are flat to slightly down year-on-year. The Macalope doesn’t know where Spence gets his numbers, presumably from some analytical firm that tries to back out channel inventory based on estimates, but Apple reported a 2.8 percent increase in iPhone sales for the first calendar quarter of 2018. Apple has also signaled that it expects to have pretty good earnings per share in the second calendar quarter, and it’s quite adept at hitting its guidance. The Macalope’s not sure how pundits think it’s going to do that if iPhone sales are supposed to collapse, but he had to stop trying to figure out the cognitive process of your average pundit. He simply can’t drink that much. But nothing! Can you imagine applying this calculus to running a taco stand? “Hmm, I could make premium tacos for $2 each and sell 100 at $10 per taco… or I could make crappy tacos for $1 each and sell 200 at $4 per taco! Boy, that second one sounds sweet. I think I’ll do that.” And, yet, this is the advice Apple regularly gets, despite having shown for years that its formula works better if you want to make a crap-ton of money. Spence doesn’t believe an updated iPhone SE will come in September for risk of “diluting the marketing message.” The Macalope isn’t sure why that would be the case. Apple delivered several versions of the iPod shuffle along with other iPods without tanking iPod sales or profit. But you can’t make a failure cake without dismissing some contrary arguments out of hand. His conclusion, therefore, is that it will be announced with “a quiet press release,” because it will be just a minimal update to the existing iPhone SE. A low-featured, low-cost iPhone fits into the lineup pretty well. In the current cycle, Apple has phones that run the gamut, having kept the iPhone 6s in the lineup. If the rumors are to be believed, and Spence does appear to believe them, 2018 will bring a lower-cost iPhone X-style phone, positioned above this SE 2. Pundits have been after Apple for years to release a cheap phone. Well, for the last two years, it’s had one. Their problem with it is that it doesn’t have the same features found in the iPhone X. In other words, their problem is that Apple isn’t destroying its profit margin. 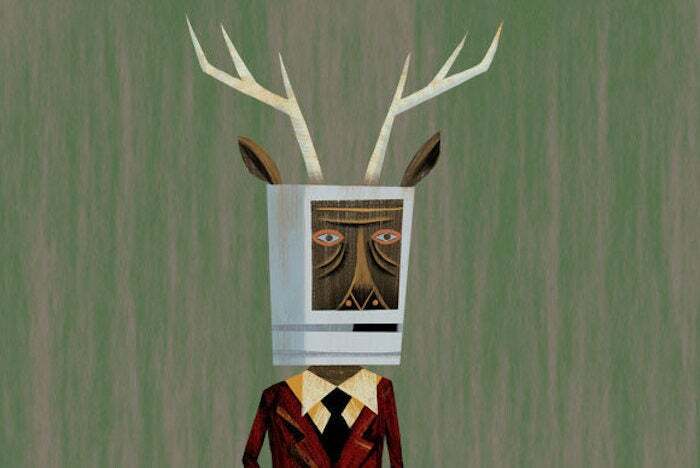 If you think Apple should do that or even might do that, well, The Macalope doesn’t know what to tell you. Except that maybe you should stop covering Apple.